Who, or What, is Reid Brignac? Can Brignac be more than a nice bench piece in Philadelphia? Who, or what, is Reid Brignac was a question I had posed to me Wednesday night after Brignac’s ninth inning, walk-off homer to send the last-place Padres, well, further into last place in the NL West. Brignac used his magic once again yesterday, hitting a two-run, pinch-hit sixth inning double to put the Phils ahead for good. The “who” was easy to answer. After the person was not satisfied with my “he’s a bipedal Homo sapien that is a professional baseball player”, I decided to write this little piece and dedicate it to them. For those not familiar with Brignac, he was one of only a handful of players to ever have the distinction of being a four-time Baseball America and Baseball Prospectus Top 100 prospect. Through his ages 21-24 seasons, Brignac was a power-hitting Minor League shortstop. In his age 24 season, 2010, he received his first extended playing time in the Majors and hit .256/.307/.385 with 8 HR and 3 SB for the Rays in an AL East-winning season. Brignac battled injuries in 2011 as a 25-year old and lost the shine of a top prospect after winning the Rays starting shortstop job out of camp for the first time. Brignac bounced around Tampa in 2012 before spending time in the Rockies and Yankees systems last year, in addition to spending time with their big league clubs. Brignac’s .222/.265/.314 Major League line suggests that Brignac hasn’t been very good, but with inconsistent playing time due to injury in his second full season and after, who, or what, is Brignac? Amazingly, nobody seems to know the answer to that question. 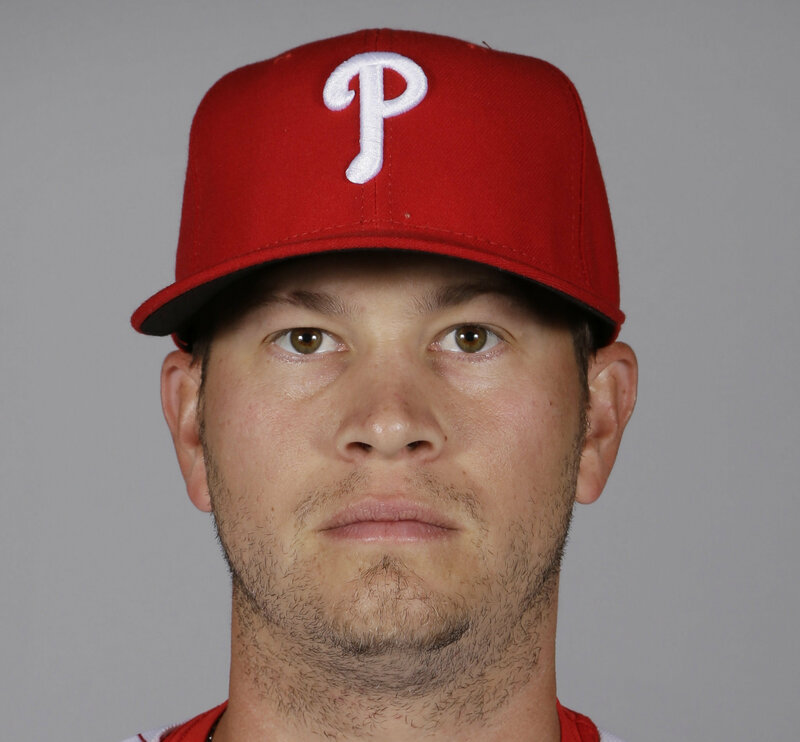 Now a third baseman with the Phillies, Brignac is hitting just .233/.313/.372. The good news in that line? He walks about 10% of the time. The bad news that is not in that line? He has struck out about 36.7% of the time. The Phillies have brought in former top prospects thought to be done before with varying degrees of success. The Jayson Werth experiment worked incredibly well while there is evidence to suggest the Brandon Moss experiment could have worked pretty decently as well. On the flip side, the Delmon Young era ended with the thud of a car slamming into a PA Turnpike barrier and Brad Lincoln has been stuck in IronPig purgatory for most of this season. Unfortunately with Brignac, there is little evidence to suggest he is much better than his line currently stands. In 49 plate appearances, Brignac has been worth 0.0 WAR meaning that he hasn’t provided anything that your average AAAA-type player couldn’t provide. Over his short, but already complicated career, Brignac has succeeded in smashing mistake fastballs but has been fooled by just about everything else. When Brignac misses, he misses hard but he certainly has appeal as a powerful infield bench bat that can turn on a mistake. The verdict? Brignac is better than the Michael Martinezes and the Miguel Cairos of the past and may even have a little bit more potential left in him. But, for the most part, what you see is what you get, and what you get with Reid Brignac is an above-average defensive infielder that can smash a mistake every once in a while. What Will the Phillies’ Opening Day Lineup Look Like? Are Phillies Fans the Biggest Front-Runners?